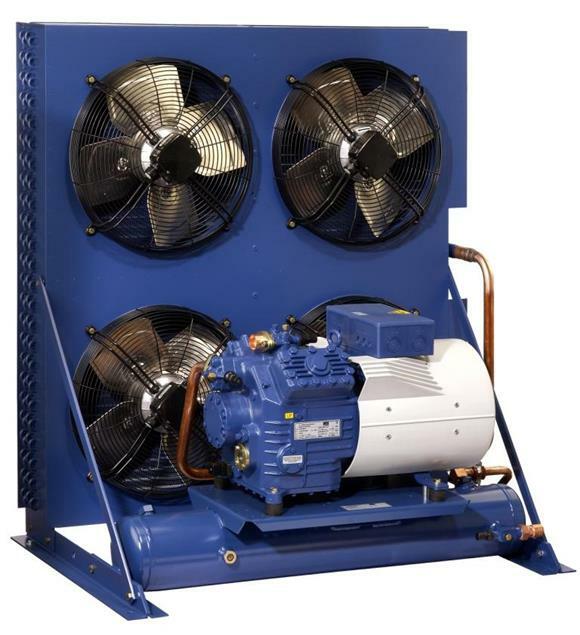 Southern Sales & Services supply GEA Bock semi-hermetic compressors units, service and replacement parts for suction gas-cooled semi-hermetic compressor units with receiver, air-cooled condenser units and Plusbox outdoor complete condensing units. 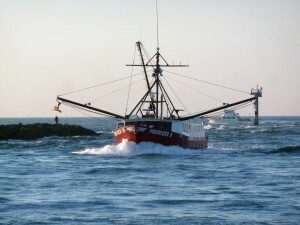 Our systems offer numerous solutions for meeting state-of-the-art refrigeration technology requirements. 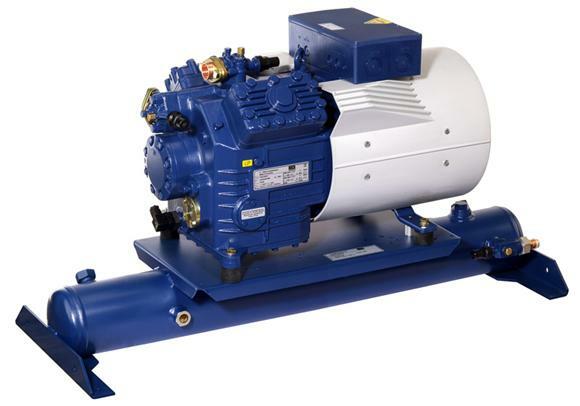 The GEA Bock compressors are available in a diverse range of models, sizes as well as the latest compressor electronic control technology. Shown below, are links to the NEW GEA Bock Plusbox catalogue and the semi-hermetic compressor units catalogue for the extended series SHG5 L, SHG6 L and SHGZ7 L. The product brochures and product selection links will provide you with technical data, performance date, operating limits, drawings, dimensions and any other information you require to make your compressor selection. If you need help with your selection, then please do not hesitate to contact our technical department, and we will happily provide any assistance required. 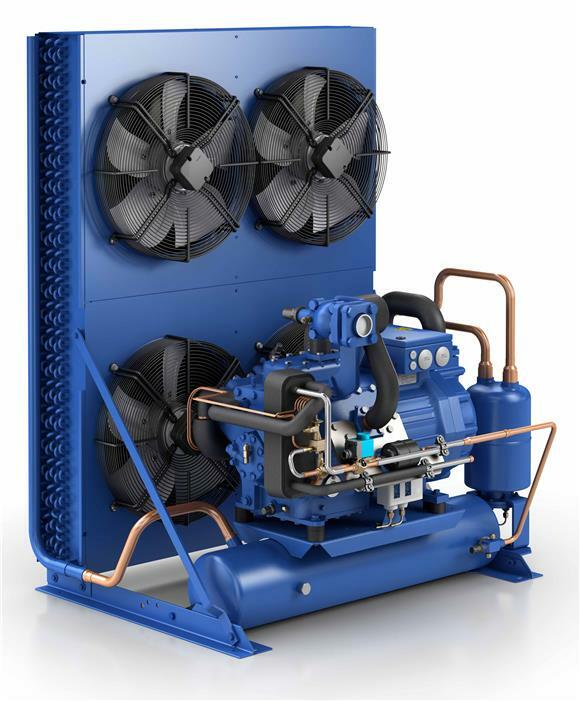 Effective immediately, GEA Technologies with its GEA Plusbox is offering for the first time a series of modularly built-up outdoor complete condenser sets based on semi-hermetic GEA Bock compressors and GEA condensers. 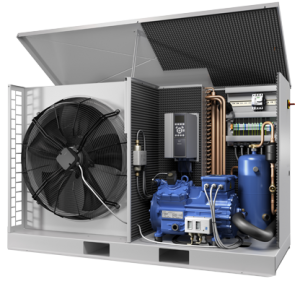 Through the modular building-block principle of the GEA Plusbox, the new complete condenser set can be configured according to the individual requirements of the system builder. 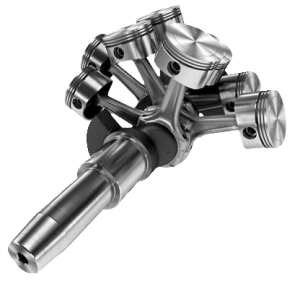 And so components and the scope of delivery can be adapted as needed and individual parts can be selected freely. 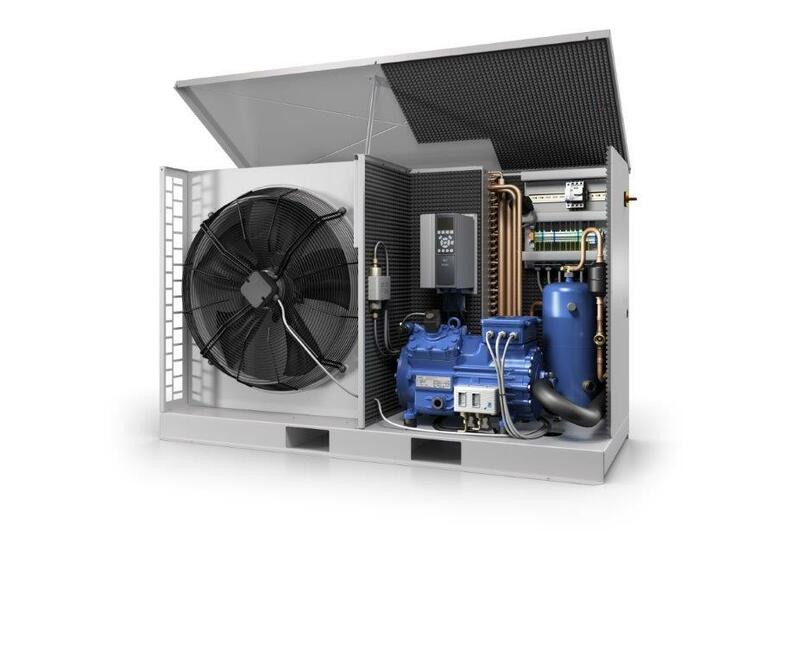 The GEA Plusbox is available in the design variants Basic, Plug & Play and individually expanded and is produced exclusively with the proven semi-hermetic GEA Bock compressors. 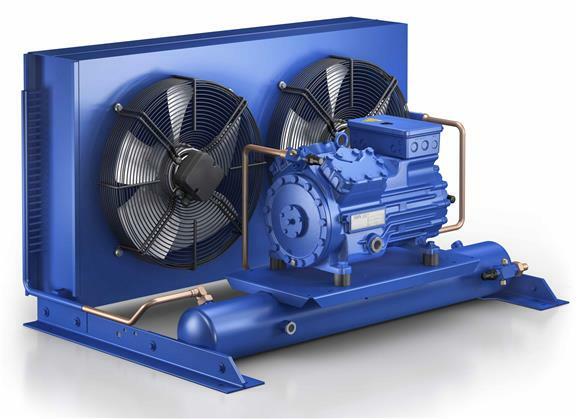 Semi-hermetic compressors can be used extremely flexibly, due to their universal refrigerant suitability, and distinguish themselves with their high reliability and long service life. The good energy efficiency and service-friendly spatial conditions are among the major advantages of the GEA Plusbox. 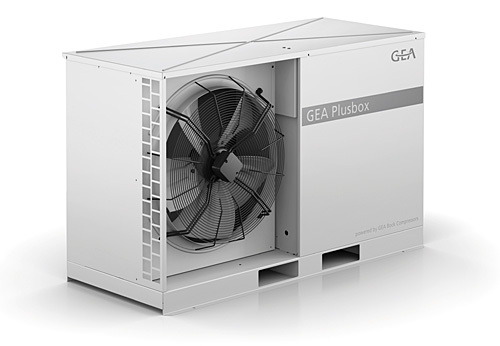 With a considerably higher COP (coefficient of performance) than comparable condenser set from other manufacturers, the new GEA Plusbox is a pioneer with regard to energy. Despite its compact dimensions, the GEA Plusbox has generous spatial conditions, which makes work on the device easier. Pre-assembly and delivery of the complete Plusbox unit offers additional service-friendliness. Among the classic application areas of the GEA Plusbox are refrigerator and freezer rooms, convenience stores and filling station shops. 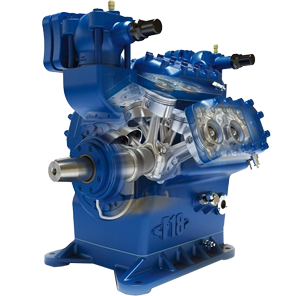 Starting immediately, Technologies is offering the GEA Plusbox at first with GEA Bock compressors of size HG34e (cooling outputs of approx. 10 to 15 kW at normal cooling conditions; R404A at -10°C evaporation temperature and 32°C ambient temperature). An expansion of the GEA Plusbox model assortment is planned. 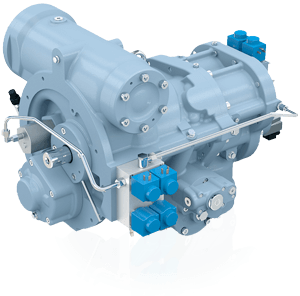 In the current series, GEA Bock offers compressor units with receivers from 1.5 to 44 kW nominal drive power and 11 to 184 m³/h displacement. The product has been discontinued, however we can offer a custom build service for you. Please call on 023 8026 1188 to discuss your requirements. 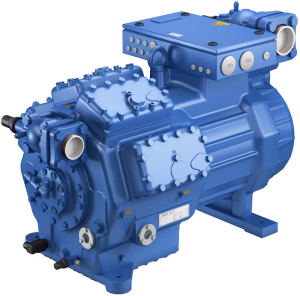 In the current series, GEA Bock offers compressor units with receivers from 1.5 to 26 kW nominal drive power and 11 to 123 m³/h displacement. Suction gas-cooled semi-hermetic compressor units with receiver and air-cooled condenser units. In the current series, GEA Bock offers condenser sets with receivers from 1.5 to 15 kW nominal drive power and 11 to 57 m³/h displacement. In the current series, GEA Bock offers condenser sets with receivers from 1.5 to 26 kW nominal drive power and 11 to 57 m³/h displacement. 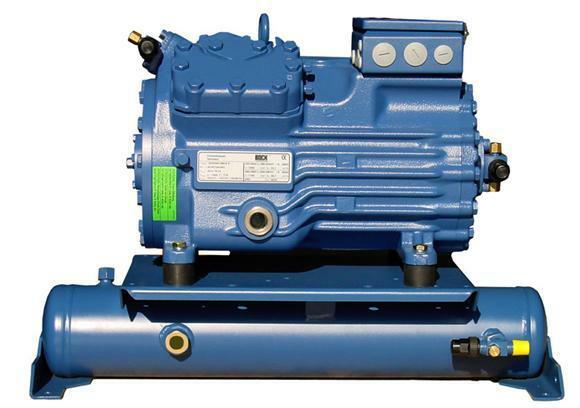 GEA Bock offers an expansion of there semi-hermetic compressor unit series. The existing program will be expanded to include two-stage units.